What Are The Benefits Of Braces Beyond Straight Teeth? We all want to have an attractive smile, but did you know all the ways it can positively impact your life? Your smile is not only the first thing people notice about you, it’s also the feature they’re most likely to remember. Aesthetics are important, and according to multiple studies, a straight, healthy smile can make you appear more approachable, trustworthy, and even more successful! Here at Team Demas Orthodontics, we love creating beautiful smiles for patients of all ages. One way we achieve that is through orthodontic treatment with braces. While braces are incredibly effective at straightening teeth, they also have a number of benefits that go beyond the cosmetic. When you correct tooth and jaw misalignment, it can improve your appearance and boost your overall oral health as well. To take a look at what braces have to offer you besides a straighter smile, keep reading below! To gain a better understanding of all the benefits braces offer, it helps to have some understanding of how they work. Traditional braces are generally made up of metal or ceramic brackets, wires, and tiny rubber bands or elastics. The brackets are attached to your teeth, and the wires and elastics are used to tie them together. These components work together to exert gentle pressure in specific directions, and this is what will move your teeth into the desired positions over time. 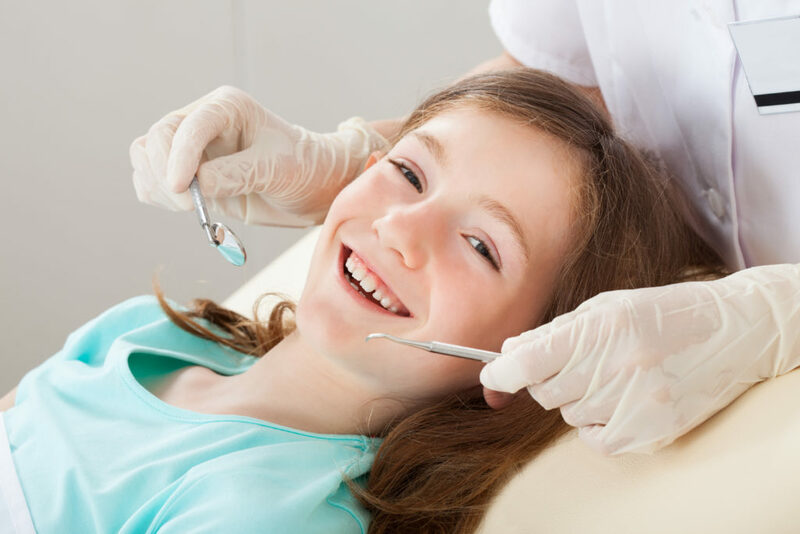 When you schedule your first visit with Dr. Demas, he will listen to any concerns you have, and thoroughly examine your teeth and jaws to help him determine if orthodontic treatment is needed, and if braces could be the right fit for you. When your teeth or jaws are out of alignment, it can lead to difficulties with biting and chewing your food properly. Over time, this can lead to excessive wear and tear on your teeth, and may also lead to a weakening of the jaw, which can cause painful chewing. Chewing your food is the first step of the digestive process, and also the most crucial one. If you have misaligned teeth that prevent you from chewing properly, it can have a detrimental effect on digestive system, as food will pass through much more slowly. The alignment of our teeth and jaws can affect numerous parts of the body, some of which may surprise you. For instance, misaligned teeth can influence the placement of the tip of the tongue. This placement is essential to properly form certain sounds, such as ‘t’, ‘n’, and ‘d.’ Braces are often able correct speech issues such as this by aligning the teeth, making way for proper placement of the tongue. An experienced orthodontist like Dr. Demas can identify any speech issues you may have that are related to misalignment, and devise the most effective solution for you based on your specific needs. As common as these ailments are, they are also preventable. Orthodontic treatment like braces can move the teeth into more optimal positions, making it easier to keep your teeth and gums healthy and clean. Team Demas Orthodontics provides customized braces treatment that can minimize or eliminate issues like these by properly aligning your teeth and jaws, resulting in a smile that looks good and feels great! If tartar and plaque are allowed to build up between the teeth and along the gum line for any reason, it may lead to the damage or destruction of the bone underneath the teeth. This can cause a number of symptoms, including loose teeth. If one of these fall out, the gums around it can erode. When you have noticeable gaps or spaces between your teeth, it can create a similar type of bone erosion due to the misalignment putting too much pressure on the jawbone. Braces can bring the teeth back together, relieving any unnecessary pressure and reducing or eliminating any symptoms that go along with it. Straight teeth are just the beginning at Team Demas Orthodontics. We’re proud to create beautifully aligned smiles that function to their full potential for all of our patients! Our team knows the difference a healthy smile can make, and works hard every day to give you a rewarding orthodontic experience, from start to finish. You’ll receive clear communication, compassionate care, and a warm welcome from us every time you walk through our door, because we are passionate about building relationships with our patients that last as long as your smile will! If you’re in Southington or the surrounding areas, and want to learn more about how braces can benefit you far beyond a straighter smile, get in touch with our office today. Team Demas Orthodontics is an accomplished practice that creates top-quality smiles every day, and we would love to give you the smile you deserve!